Looking for that perfect 30-minute recipe that combines 3 delicious flavors? 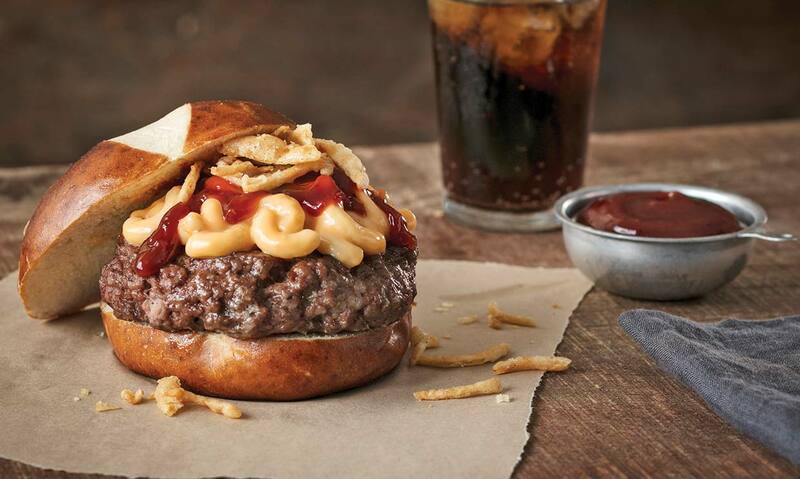 We’ve got the answer with this BBQ mac & cheeseburger recipe! In a large mixing bowl, blend together ground beef and Bob Evans Original Sausage and divide into 8 patties. Over medium heat on grill, cook burgers on each side until done (no longer pink in the center) and internal temperature reaches 160 F. About 15 minutes. Heat Bob Evans Macaroni and Cheese per package instructions. 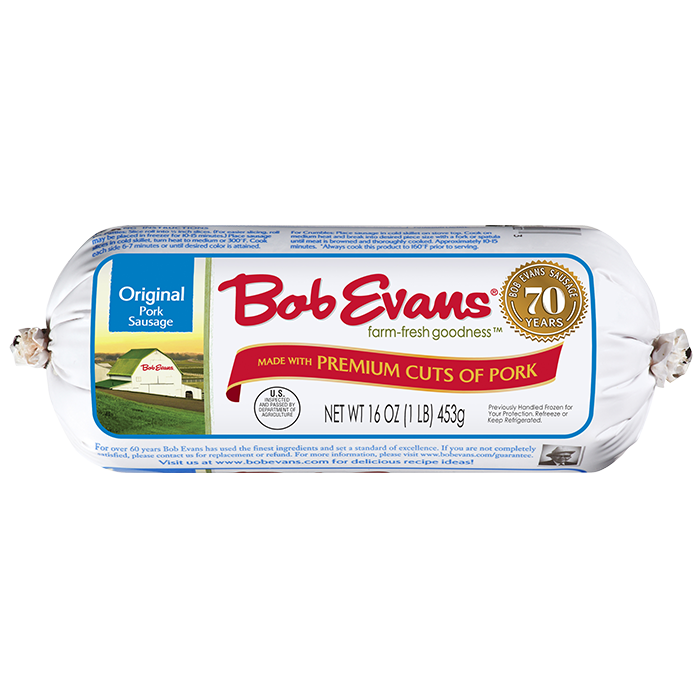 Place patties on bun and top with ¼ c. Bob Evans Macaroni and Cheese, 2 tsp. BBQ sauce and French Fried onion straws. 1 In a large mixing bowl, blend together ground beef and Bob Evans Original Sausage and divide into 8 patties. 2 Over medium heat on grill, cook burgers on each side until done (no longer pink in the center) and internal temperature reaches 160 F. About 15 minutes. 3 Heat Bob Evans Macaroni and Cheese per package instructions. 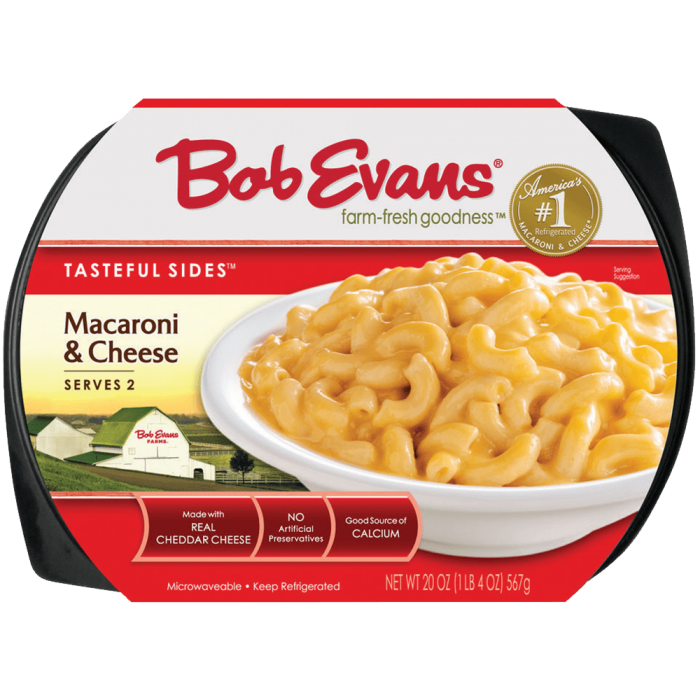 4 Place patties on bun and top with ¼ c. Bob Evans Macaroni and Cheese, 2 tsp. BBQ sauce and French Fried onion straws.